To claim this profile, please confirm you are Tahlia Reynolds. To follow this profile, please let us know your relationship to Tahlia Reynolds. Girls varsity basketball vs. Non Varsity Opponent. Girls varsity basketball vs. FCA. RESULTLoss Girls varsity basketball vs. Cambridge Christian. The Classical Prep varsity basketball team lost Thursday's home non-conference game against Cambridge Christian (Tampa, FL) by a score of 40-26. Tahlia's basketball stats have been updated for the win vs. Zephyrhills Christian Academy. The Classical Prep varsity basketball team won Tuesday's home non-conference game against Zephyrhills Christian Academy (Zephyrhills, FL) by a score of 41-36. Tahlia's basketball stats have been updated for the loss vs. Hernando Christian Academy. The Classical Prep varsity basketball team lost Friday's home conference game against Hernando Christian Academy (Brooksville, FL) by a score of 55-18. RESULTWin Girls varsity basketball vs. Solid Rock Community. The Classical Prep varsity basketball team won Wednesday's home non-conference game against Solid Rock Community (Tarpon Springs, FL) by a score of 53-10. RESULTLoss Girls varsity basketball vs. Meadowbrook Academy. The Classical Prep varsity basketball team lost Tuesday's home conference game against Meadowbrook Academy (Ocala, FL) by a score of 49-28. The Classical Prep varsity basketball team won Thursday's home non-conference game against Solid Rock Community (Tarpon Springs, FL) by a score of 51-9. Tahlia's basketball stats have been updated for the loss vs. St. John Lutheran. The Classical Prep varsity basketball team lost Tuesday's home conference game against St. John Lutheran (Ocala, FL) by a score of 59-17. Tahlia's basketball stats have been updated for the loss @ Cambridge Christian. RESULTLoss Girls varsity basketball @ Cambridge Christian. The Classical Prep varsity basketball team lost Monday's away non-conference game against Cambridge Christian (Tampa, FL) by a score of 27-24. 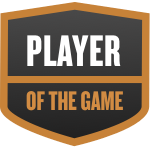 Tahlia was selected the Player of the Game in the basketball game against Berkeley Prep on Fri, Nov 30 2018. Congratulations to #13 Tahlia Reynolds for being selected the Classical Prep Girls Basketball Player of the Game. Tahlia's basketball stats have been updated for the loss @ Hernando Christian Academy. The Classical Prep varsity basketball team lost Thursday's away conference game against Hernando Christian Academy (Brooksville, FL) by a score of 53-30. Tahlia's basketball stats have been updated for the loss @ Meadowbrook Academy. RESULTLoss Girls varsity basketball @ Meadowbrook Academy. The Classical Prep varsity basketball team lost Tuesday's away conference game against Meadowbrook Academy (Ocala, FL) by a score of 34-30.